Going all the way back to the summer of 2006, I can vividly remember my first triathlon experience. At that point I was headed into my last year at Lehigh University where I was a member of the NCAA Division I Cross Country and Track teams. I had just received a 1998 Trek with carbon tubing and aluminum lugs as a birthday present from my Uncle a few weeks prior( to use in some cross training while not running). That summer I started riding with my buddy Dave Hryvniak and he convinced me with only a few weeks of bike training in me to sign up for my first triathlon - the Mini-Mussel Triathlon! I was very concerned about the swim though as I have never swam a lap of organized swimming in my life! All I had really done before was splash around and play Marco Polo. Back then, the swim was thankfully only 350 meters but with the same bike and run as it is today. When I toed the line I had no idea what I was in for, yet it was all so exciting. I remembered the gun going off and immediately my heart was pumping out of my chest. Half way through the swim I thought I might not finish it but I kept going. Finally as I dragged myself out of the water, (in about 60th place in my wave) I got onto my bike and started hammering. I can honestly say it was all a big surprise to me when I kept passing more and more athletes. After the scenic rolling hills bike ride taking me along the shores of Lake Geneva I came back to the transition zone in about 10th place. My dad was as surprised to see how many spots I made up on the bike as I was. After leaving transition 2, I started to run and remember to this day the jelly legs that I had. I was in great shape at that time as I was in the middle of 80 mile weeks. After passing a few more athletes by mile one, the piano finally fell off my back and the legs started moving again. Before I knew it, I was in the lead with about a half mile to go. I ended up crossing the finish line first of the day utterly shocking myself. I ended up finishing second overall that day to the one and only Curt Eggers and my interest in triathlons started. I will always remember that race and have so many fond memories over the years in Geneva at the Musselman Triathlon. I have been fortunate enough to have won the Mini-Mussel 3 times in 2010, 2011 and 2013 but have never competed in the full Musselman. This year, I am excited to say that I will be coming back once again to where my triathlon career started but this time not to do the mini but to do the full! Since the last time I raced here in 2013, I have been competing more in the half Ironman and full Ironman distance where I have been fortunate enough to have gone sub 4 hours in a half and 9:11 in a full. This season though has been all about having fun and doing different things. I raced the NYC Half marathon, 2 ITU sprint draft legal races, a SwimRun event and this past weekend competed at the NYC Triathlon Olympic distance. With an 8th place performance against a tough pro field last weekend going 1:52 in NYC, I am primed and excited to race this week at the Musselman Triathlon! It is amazing to see how life has changed since I first raced here in Geneva 12 years ago. I have gotten married to an understanding and amazing wife Chelsea, have an awesome 2 year old little dude, earned my Doctorate in Optometry and have since moved to Charlottesville, VA. Triathlons don't define me but they have been a big part of my life and it all started here. I really do love this race weekend and tell everyone I know they should partake at some point. I hope to see you all out there this weekend and please stop and say hi. I love this sport, I love the challenge and I love this race! See you this weekend! Epix Gear Cycling Kit Review!! After wearing Epix Gear Triathlon and Cycling apparel for the last 3 years I thought I would write about my thoughts ...thought on their clothing, unique designs, ease of working with them and so much more! When I was looking for a clothing sponsor 3 years ago, what stood out about Epix Gear was the uniqueness of their kit designs. So many companies stick to 1 or 2 design options where you just place in X logo. They however have unlimited options when doing the custom clothing. After signing off on the design that looked amazing I was so excited to really see it in person and try it on! The sizes are true to other kits I have worn in the past but just be sure to check the sizing chart to be sure! The company told me the turn around time was 4 weeks but I was able to get it within 3 weeks - getting to try on my new race kit that much sooner! I think besides how amazing the design turned out, the functionality of the side pockets and rear zip pocket is really useful. Carrying gels, salt tabs, or other nutrition can be done with ease. For me, I am blind as a bat without my contact lenses on so I always carry an extra pair with me just in case- the rear zip pocket is perfect for this! The front half zip works well for those hot days as well. And speaking of hot days, the material is breathable and wicks water/sweat away nicely. Having the choice of colors, logo placement and that the logos are actually in the material and not just pressed on really make this kit as a whole an amazing piece of art. And looking at the fabric, it has great color, a material that will last multiple years, and the logos aren't blurry which can be the case in other poor quality fabrics. Looking at the shorts, the band around the legs keep them from bunching- plus that can have logo placement! The lower leg pocket is great after using a gel and putting the wrapper in there easily before you can throw it out at the feed zones. When it comes to comfort and fit, the difference between an average kit and great kit is fabric and chamois pad. This 8 inch pad has stitching that is pliable and it is located in the right position - not too high, not too low. The finished product looking good in action! When it comes with ordering from Epix Gear I would highly recommend them. The process was easy, but if you do have any questions during the ordering process that are great with communication to make sure everything is right for you! 2016 Race Season and Amazing Adventures! The last few months have been a whirlwind! That is really the best description I can give when thinking about traveling to Norway and Iceland, going to Chelsea's(& baby Asher's) doctors appointments to seeing patients at my practice in between. The race season for me started out later than expected due to injury (see previous post here) but I am still trying to make the most of the 2016 season! After not really competing since the Philly Marathon in November, I ditched the swim goggles and running shoes and hopped on my road bike to race my first cycling race in 7 years - The Jefferson Cup Road Race in my back yard on the beautiful roads of Charlottesville, VA. I was excited and eager to get the competitive juices flowing as it had been 5 months since I had last raced. Since I was not yet running I figured I would join my Charlottesville Racing Club (CRC) & Blue Ridge Cyclery Racing p/b Reynolds GM/Subaru teammates in this long standing race with a lot of tradition. As with Cat 5 races there can be a wide range of abilities in the race and without question I wanted to do everything I could not to crash out. After the race got started, I went to the front and worked with a few guys on the first climb. After the most technical portion of the course with a sweeping downhill section I hit the uphill section hard and found that I had gaped the field by 75 meters already within the first 5 miles of the race. From there I made the commitment to just hammer home (and being only a 20 mile race) the last 15 miles. I knew this would be the most painful way of going but was confident in my abilities to TT the rest of the way. After getting time checks that kept growing as the miles went on I was happy to cross the finish line in first 1:15 ahead of the rest of the field. It was GREAT to be out competing again! I even got a cool Jefferson Cup for the win! Next up was the Monticello Man Triathlon 3 weeks later where I would be adding in the wetsuit to the mix and doing the Olympic Aqua bike - my 2nd year in a row having to do the aqua bike due to injuries. This was an especially fun event as my long time college buddy and elite triathlete as well - Ross Hartley, drove in from Columbus, OH to compete in the sprint triathlon. Additionally, my good buddy - UVA swim coach/super swimmer- fish/new triathlete that I have been coaching Cory Chitwood would be making his debut at the Olympic distance. Race day ended up being wet and cold! However, it was nice to be at a triathlon and I was excited to be able to try out my new swim stroke and fitness that Cory and I have been working on all winter. I knew Cory would take off on the swim but the question was - where would I catch Cory on the bike? When the gun went off, I tried to hop on Cory's feet but that lasted all of about 15 seconds. As I hit the first buoy I felt strong and smooth - surprisingly that continued for the rest of the swim and I would say that is the best I have ever felt in an open water swim! I came out of the water 2:15 down from Cory and the chase was on! Being a smaller event it is a nice way to get ready for the big Pro events coming up - making sure the race bike is dialed in, the transitions are going smoothly and just getting your mindset switched from training mode to racing season. After about 8 miles of hammering on the bike I caught Cory - he was looking great and I was excited to see how he was going to perform today. He had been putting in some amazing workouts and I knew he was ready! I kept pushing and before I knew it the 40k bike leg was done....sadly though I would have to stop there and not complete the run as I didn't want to push my achilles too much at this point. Ross Hartley taking the win of the sprint race! A couple minutes after I entered T2 Cory came flying in and he took off in the lead. I realized he had about a 5 min. lead on the next guy and would be running solo. Out on the run he continued to power through staying smooth the entire time. He ended up taking the win by over 6 mins and making me a proud coach! Not only did Cory do amazingly but my buddy Ross ended up taking the W in the sprint race as well! Overall a GREAT weekend! A week after MonticelloMan Triathlon, I went back to the bike to race the Virginia State Hill Climb Championships at Wintergreen Mt. A 6.75 mile long climb ascending 2500 feet that gets steeper the higher up the mountain you go! I had climbed this 2 times before but never actually raced it - I knew it would be painful yet fun at the same time! I actually ended up getting my new road bike the day before so the maiden voyage actually was going to be the race! Normally I say never try anything new on race day but it was either my new Trek Emonda climbing road bike or my Trek Speed Concept TT bike- the choice was clear to me! The field had a mix from juniors all the way up to a few Cat 1s. I knew that I could do well with keeping the power up the entire time but I knew my weight of being 182 pounds would hurt me when climbing against those that weigh 130! As I started the event I was catching others within minutes. I was feeling good but trying to save some reserves for the later stages of the race where the road really steepened. The new bike was working beautifully and I was LOVING the compact crank that came on the bike. Normally I would go with a mid-compact as I love it for the climbing that I have in the Blue Ridge Mountains but for this event to be able to spin at 90 RPMs made a huge difference. I heard that anything under 40 mins would be good for this race and as I was approaching the finish I saw I would be way under that time. The winner the previous year(who is a buddy of mine and Cat 1 rider for the Kelly Benefit team-- Chris Jones) went mid 33 minutes so I was trying to get as close to that as possible. After pushing hard to the finish I ended up going 36:09 which was good enough for 4th overall in the race and winning the Cat 4 division. Crazy to think though that I still ended up losing by over 3 mins to the overall winner, Sean Gardner. Shows how fast the Cat 1 riders are at climbing!! My stealthy Trek Speed Concept 9.9! After the hill climb race it was time to kick the season off with Powerman Duathlon in Morgantown, WV. I had not done a duathlon since 2009 where I finished 3rd in the 20-24 AG at Duathlon World Championships so I was excited to get back out there ! After only running for about 6 weeks before this race I honestly had no idea how I was going to do. I am fortunate in that I have been running for years but unfortunately was not in that good of shape. I decided to try and be as smooth and chill as possible in the first run as this was a 10k run/60kbike/10k run. I knew I could throw down on the bike but told myself to stay around 5:40 per mile pace the first run. This race ended up having 4 pros racing so it was going to be a very intimate affair. As the gun went off I got that feeling of running again that only comes with competition - the feeling that paces naturally that are harder in practice are much easier to hit in races - its such a great feeling! As I hit the 5k I was still feeling good and holding upper 530s. The other 3 guys started to pull away but I was content and staying right where I was. I was hoping the legs would continue to feel this good! Fortunately, I made it back to T1 and ended up averaging 538s for the first 10k! I was pretty stoked to see this even though I was in 4th at the time and what was even better is that my legs felt fresh! The bike was an out and back rolling course that took us into Pennsylvania. I started cranking the bike and actually enjoyed the hills - they were pretty relentless. Even though I was pushing hard I didn't catch Ryan Rau who was in 3rd until the 40k mark. Once I caught him on the bike I knew that I had to keep the gas on full throttle as he is a faster runner right now and I did not want the gap to be too small coming off the bike. When I got to T2 I had about a 1 min lead on Ryan and I was about 2 min down on the other 2 racing - Jake Rhyner and Chris Leigh. I started the 1st mile running a 533 and kept trying to push. When I saw the two leaders at the turn around I was about 1:30 down on them but they seemed to be content and not really working that hard. I knew with only 3 miles left that meant I had to run 30 seconds per mile faster than them to catch them and that was not going to happen. I just needed to make sure I was safe from Ryan coming behind. Fortunately the gap stayed the same 1 min at the turn around and I was just able to maintain. I ended up finishing 3rd overall and had fun in the process - it was GREAT to be back racing(running) again! 3 of us rocking the Bolle sunglass line! Next up was Ironman 70.3 Norway in Haugesund, Norway. It is located about 3 hours south of Bergen right on the west coast and known to be the birthplace of Vikings as well as voted the top ranked 70.3 in the world! I was super excited to get out to Norway as Chelsea and I were able to take one last babymoon before Asher changes our lives forever! I wanted to find a race in the summer that I could count on not being hot, it was around July 4th weekend and would be an amazing place to visit. Norway hit the nail on the head! We ended up flying from BWI to London Heathrow to Stavanger. The race crew was awesome and even picked us up at the airport. We ended up driving in with Peter Kerr, a former Australian ITU guy and multiple Ironman champ Filip Osplay. It was a 90 min ride as we got to see the beautiful countryside with amazing fjords and even had a ferry ride! Once getting to Haugesund we found ourselves along the water, with cobblestone streets and friendly people all around. We had the amazing opportunity to stay at a Clarion Collection Hotel that had a great breakfast spread every morning and even dinner each night! Norway is definitely a more expensive country to visit than most so having a great hotel with meals provided was an extra bonus! Once settling in and getting a great pre-race swim and ride in I met the race director - Ivar Jacobsen at the Pro meeting. He was telling us that in his small town of 35,000 people the triathlon club had over 500 members! That is truly amazing considering it is a new sport to the country. This small town truly loves the sport of triathlon and it shows! The race start ended up being a little busier than normal as not only did the male pros start in the first wave but so did the top 15 men in the age group race who were fighting for the Norwegian championship. With all the fast swimmers in the race, the pack spread out quickly. With the water being about 54 degrees they shortened the swim to 1700m instead of the 1900m. This swim is unique in that it you basically are swimming in a lane the entire time - very easy to sight and as calm of water as you can get! Swim time of 24:06. After a decent swim it was time to hop on the bike and catch up to those faster swimmers. After years of doing flying mounts and getting into my bike shoes this time I struggled with my left shoe and ended up causing the flap to come un-buckled in the process. I tried to get the strap back through the loop for about 10 mins but to no avail. I ended up having to ride the remainder of the bike leg with the shoe unstrapped - my Pioneer dual leg power meter even showed a 45% R/55% L leg imbalance due to my shoe. This shoe issue combined with pouring rain and not knowing every turn on this portion of the bike course slowed my bike time more than I would have liked. I ended up biking 2:19:14. I was staying positive though as I had caught a number of guys on the bike and it was now time to run! After transitioning to the run I was unsure where my run legs would be. I unfortunately have not done that many bricks this season and felt that in the beginning of the run. However, as my legs and back loosened up, I started to roll. Pretty soon my 620s pace started dropping to low 6:00s. The rain was stopping and I was feeling good! This run course was 2 out and back loops with the center of town in the middle of each loop so it was very spectator friendly. It was great as I got to see Chelsea a number of times! After a tough start to the run I ended up finishing strongly in 1:22:16 even with a bathroom stop! I would highly recommend this race to anyone - it is well worth the trip! After the race Chelsea and I spent the next 4 days exploring the region and seeing some amazing scenery from mountains, to glaciers to fjords to some of the best waterfalls I have ever seen! We even did some hiking with Chels doing a great job! Hiking up to a glacier with Asher in tow! After spending 7 days in Norway we flew back to BWI. Instead of heading back to Charlottesville we drove north to northern New Jersey to attend my Lehigh Track teammate Victor's wedding. I was excited as I had the honor of being in his wedding party as well! After a great weekend with old friends we drove the 6 plus hours back to Charlottesville Sunday just in time for both of us to get to work on Monday. A long, exhausting break had to come to an end at some point! After surviving Monday and Tuesday with work, I crashed hard Tuesday night and slept for 14 hours! Much needed! 10 days after getting back I was headed back up to BWI where I was flying out non-stop to Iceland for the Northern most Triathlon in the world to Challenge Iceland! This was an inaugural race that brought some big name pros to the Land of Fire and Ice! I fortunate to get a great home-stay with Friðrik Guðmundsson who is a member of the local tri club and was racing Challenge Iceland himself. After getting in a great swim at one of the numerous local pools of Reykjavik, I put the bike together and did a great pre-race ride along the ocean leading to downtown Reykjavik. After the swim and ride it was time to check out the course and explore a little! After driving to the race sight it was truly amazing to see how beautiful the area was with the rolling snow topped mountains and numerous fjords. Once getting to the lake that we would be swimming (it was a glacier lake that was freshwater, unlike all the fjords which were salt water from the ocean), checking out the very hilly bike course with almost 4k of climbing and rolling run, I was really able to take in all the surroundings. After a great night sleep trying to adjust to the time zone difference and a nice pre-race run exploring the city it was time to go to the race expo for registration, pre-race briefing and pre-race meal. The meal actually had fresh caught salmon that had been brought off the boat that morning! How delicious it was! When race day came it was nice to sleep in as the race didn't start until 10 am! It ended up being a typical Icelandic morning with a cool breeze and a rainy mist. When getting to the race site and setting up transition there was talk amongst us pros about what to wear on the bike - whether to put on arm warmers, toe warmers, hats gloves, etc. as the water was about 52 degrees and the air temp was not much warmer! I was fortunate enough to have done Norway a few weeks before where the weather was similar and knew I could wear just my normal kit here in Iceland too. When the gun went off for the swim it was a fast pace right from the start with some swim studs of Tim Don, Brad Kahlefeldt and Giulio Molinari in the race. With only 13 pros in the race there weren't that many feet to stick on but I did my best as I was able to stay on a couple others for the first 1400m. After getting out of the water in a slower than hopeful swim of 28:54 I got onto the bike and knew it was going to be a tough ride with the rain, wind, cold and elevation gain. It was an out and back ride so as I approached the turn around I was able to see where I stood in the race. My power was holding steady and after the half way mark I was actually starting to increase my average power. I was actually feeling pretty good and my power was about 15 watts higher than where I was at Norway. However, with about 6 miles to go all I wanted was to get off my bike and start the run. My power was dropping a little but I was also trying to increase my cadence to loosen up the legs for the run. With a bike of 2:25 with almost 4k of climbing and seeing the watts be 5% higher than last race I was happy overall with the ride. When I got out on the run I realized my lower back was really tight and the cold weather probably didn't help it. I was trying to loosen it up over the first few miles but it was not really helping. I even stopped at about 5k to try to quickly "pop" it. However, to no avail. I kept on plugging away but was not catching up to anyone. I realized at about 9 miles this run was not going to be my best but I kept putting one foot in front of the other and try to salvage what was left. I only ended up running a 1:25 for the half marathon at the end but considering how tight my back was I couldn't complain. After finishing this tough race in 4:22:59 for 9th overall I was a bit disappointed but it will keep me hungry for more. I have to remember that I have only been training for the last few months as my achilles didn't allow any running or much biking. I didn't have the base that I normally have . When I think about it, I just have to be appreciative of being able to race and go to these amazing places. I was supposed to be racing Pittsburgh Olympic Triathlon this past weekend and Luray Triathlon Olympic and Sprint race this weekend but God and Asher had other plans. My wife ended up going into labor on August 10th and at 9:00pm Asher George Rosinski was born... Stay tuned for more adventures ahead! With so many memories made over the last couple months I feel thankful and blessed for the opportunities I have had. I want to say thank you for reading, I know it was long but a lot has happened over the last few months! Thanks to my wife, family, friends and sponsors for the support over the years! After a rough end of the triathlon season last year with a DNF at Ironman Vichy and a less than ideal race at Ironman Chattanooga 4 weeks later I was ready for a break from Triathlon. I thought I had done the right things, dotted the "i's" and crossed the "t's" However, when looking back on the training and the racing, I wasn't enjoying it, I was just going through the steps - I was doing the 6 hour bricks, I was doing the 20-22 mile long runs and I was getting the proper sleep - all with a very understanding wife, friends and work family. With three Ironman starts over a 13 month period I can strongly say that I truly enjoy the 70.3 distance more- hence why 2016 includes no full distance races. After the triathlon season ended in 2015 I went back to my roots as a runner- I ran a quick 4 miler and even competed in my first open Marathon. I surprised even myself by running 20:52 for the 4 miles. It was very exciting running that fast again - it brought me back to my college days at Lehigh University where I ran both Cross Country and Track. After that, I decided to sign up for the Philly Marathon in the goal of trying to qualify for the Boston Marathon in 2017. My friend Scott Bradley (also a pro triathlete) and I were going to run it together and just try to run 2:55 -3:00. The cut off for our age group is 3:05 with typically a 3:02 getting you into the race based on seed times. I was actually very excited for the marathon as I felt no pressure and just wanted to enjoy myself. As the race begin I really was enjoying myself - cheering to the crowd, talking to Scott and just trying to be in the moment. When we hit the half marathon at 1:25 I was still feeling good and knew we had a mostly flat out and back left ahead of us. I still had to think to myself - this is still a marathon and a lot can happen really quickly. Scott and I were still running together when 18 miles hit - at that point I reassessed how I was feeling and decided that if I started working I could run a decent time here. I started to take off - going from running 625 pace to 5:55 pace. The surge came with surprising ease and I kept reeling in those in front of me in. I can say, the way I was running seemed a lot more fun than the people that went out quickly and were coming back to me! After passing through Manayunk and hitting our turn around point I was starting to get excited about how low I could take my time. As I was nearing the finish, I could hear the screaming crowd, the Eye of The Tiger - Rocky theme song and feel myself gleam with excitement. Right before passing the finish line I saw Chelsea (who was ALL over the course) and I told her I loved her- she knows when I am able to say that at the end of the race that I am happy and feeling good! After crossing the finish line, a wave of excitement went over me and a feeling of euphoria. I had just completed my first marathon in a time of 2:46:11. I was very happy with that considering I went in with no long runs in over 3 months, no pressure on myself and a goal of just getting the Boston qualifier. I didn't fall or kill myself! Shortly after my marathon came the holidays. I wanted to enjoy the down time, do some things I normally would not do during the race season and really appreciate forming memories with my friends and family. I told myself 2016 was going to be a year of fun triathlons and I was going to really try to enjoy the training and racing that I fear I lost at the end of 2015. I actually was very excited for one last "push" before life changed forever. The reason life will change forever is that my wife - Chelsea and I are expecting our first child - a little boy named Asher George come September! Because of this momentous life change Chelsea gave me the go ahead to travel more to races than I normally would! How exciting! The real question now for me was - which cool races do I go to now??? Fast forward a little further and I was fortunate enough to join a new running team and family through the Ragged Mountain Running Shop here in Charlottesville, VA. This collection of some of the fastest runners in the country is name RMR or Ragged Mountain Racing. With joining this elite group of runners I believe I can take my running to a whole new level. I think about where I was mentally, physically and emotionally as solely a runner back in college to where I am now - I am much stronger in all aspects. Running taught me to be fast but triathlons taught me the mental fortitude to keep pushing for hours, the physical maturing of my body and the emotional investment it takes to get to the next level. Now, with the help of the team and coach Mark Lorenzoni I believe I have some of the best running ahead of me! With the excitement of the 2016 triathlon season, joining RMR and the news of my first child - I was on cloud nine! A little while later, after coming back from an easy run I felt a twinge in my lower calf/upper achilles. I felt nothing of it and went out for my long run 2 days later. I remember it vividly - it was a beautiful day here in Virginia with temperatures soaring into the 70s! I was in Richmond, VA coming back from an Optometry conference and went out for my long run. 7 miles away- aka the furthest point from my car- the slight twinge I felt turned into a debilitating pain in my left achilles. This I knew was nothing good. At the end of the 14 miles of intermittent severe pain and then dull throbbing I put on an icepack and remember saying this will heal up quickly and no need to worry. Fast forward 4 months with basically no running: 1 week of steroids, 2 weeks of being in a walking boot, 2 PT visits, 2 doctors visits, multiple deep tissue massages, countless eccentric exercises, long weeks of doing nothing but swimming and many hours of complaining to anyone around me - especially my wife and work family - I am finally able to start running again. This severe case of achilles tendinitis led to thickening of my tendon to more than double the size of normal and a crepitus/creaking that could compete with the squeakiest of old rocking chairs. I would like to thank Dr. Robert Wilder, Eric Magrum at UVA Health south and Anne Pike with her Magical Fingers at DNA Movement(that hurts so good!) for getting me through the toughest sections and finally getting me out there running again! I still have some days better than others but I know that is part of the process when I have done that much damage to a tendon that is so integral in our everyday lives. With the injury, I missed out on a number of triathlon races that I had planned on doing the first half of the season but just because it is my plan doesn't meant it is THE plan. I put that bible verse in the top of this blog to remind myself and others that God does have a plan and even through the tough times he is there for us. Through all of the no running or biking or let alone walking I was able to spend more time with my wife and friends and was able to really focus on swimming for truly the first time in my life. With the help of friend and UVA swim coach Cory Chitwood, my swim is better than it has ever been and I have a new found confidence in my ability to swim faster with less effort. Now that I am almost back to 100% I can say that I am more hungry than ever and truly enjoying the journey. I will follow this post with a few of the races I have done this year but I wanted to share the reason the 2016 season is really just getting started! Thanks again for all the support from so many people in my lives! I feel very fortunate to have such a great network of family, friends and sponsors! Looking back to last year after Ironman Chattanooga I was excited to race my next Ironman(I wanted to redeem myself as I know I can run faster than a 3:26 marathon at the end!). After figuring out though that my aching foot pain that I had leading up to, during and after the IM was a calcaneus stress fracture - I knew it would be a later season Ironman for 2015. When looking at the Pro IM calendar, Ironman Vichy stood out to me. Chelsea and I were hoping to make a trip to Europe this year as well, why not make it an Ironman experience and a vacation to follow? Leading up to Vichy in France, it took a good amount of planning both logistically and training wise. After looking at my training for the first IM, I gained some valuable experience as I approached my second one. I had hoped the change in training was going to pay off. And in order to get to the race site it took a good amount of planning as Vichy, France is not a major city. It is located about 3.5 hours south of Paris and 90 mins northwest of Lyon. Being in central France the terrain consisted of rolling hills, farmland and some beautiful views of volcanoes off to the southwest. View of the Italian Alps on our way to France. We ended up flying into Milan, Italy and driving west through the Italian Alps and down into France. It was a beautiful drive which consisted of a few tunnels- one that took us from Italy to France called the Routier du Frejus that was 8.1 miles long. Before heading into France we stopped at a little ski town called Bardonecchia. It was a quaint town where we enjoyed a delicious stromboli and took in the amazing mountain views all around us. Once in France we still had a few more hours to drive - mind you stopping a few times because we were all turned around! Driving in Europe is definitely different than driving in the states! After a long flight and pretty long drive from Milan we finally made it to Vichy where we met our amazing home-stay Cathia, her daughter Clemence and her sister Stephanie. They were amazing and we truly appreciated their hospitality - we evened learned some French in the process! After getting a great night sleep we woke up to an amazing breakfast of French Pastries, fruits and french coffee. Once breakfast was finished we started getting acquainted to the area, getting the bike ready and going over the course we settled in for the pro meeting. At the pro meeting it was nice to meet some familiar faces in fellow Americans AJ Baucco, Chris Sweet and especially hometown Charlottesville native Alyssa Godesky. Alyssa was coming off a great performance a few days before at Ironman Copenhagen and hoping to double back with Vichy! Yes she is crazy! Over the next couple days the temperatures were heating up well into the 90's -race day was supposed to be the hottest yet in getting up to 97. I was trying to stay out of the heat, take in plenty of water as well as electrolytes and do my best to stay relaxed. As race morning came, things were calm, I was feeling good and was excited to complete my second Ironman. I would be lying if I said I wasn't worried about the heat. Usually in shorter race distances I am done before it gets too warm out however in an IM the run takes place in the hottest time of the day usually starting around 12:30-1:00 pm. I was just going to do my best to stay hydrated, follow my plan and take in the necessary nutrition. Race morning came and the swim was to be wet-suit legal. In France, the water temperatures for wet suits are a little higher than normal- normally it is 71.5 degrees or lower for a wet-suit but for this race it is 75.2 degrees. This would help me with the buoyancy aspect but might also be a little too warm to swim in for an hour. As the sun rose, the starting gun went off and the race was on. It was a 2 loop swim with an Australian exit- meaning we come out of the water, run for a few meters on land then hop back in the water for a second loop. In the race, I found my arms were a little tight on the first loop but while getting out after the first loop I managed to stretch my arms a little and loosen them up. After a dive off the dock, I started the second loop and noticed the main pack was not too far ahead of me. When getting out of the water I heard Chelsea and she let me know the time gap to the next racer. Overall a solid swim for me at 59:59 coming out in 13th place out of 19. I felt relaxed and ready to get some time back on the bike. After a quick T1, I was was out onto the bike. During my transition I made sure to take a couple of Imodiums to help with combating GI distress later on. This is the first time I was trying this in a race- I had been using it in practice over the last month or so and it seemed to be working well. While out on the bike I was trying to stay on point with my nutrition and hydration. I was actually taking ~2.5 - 3 full 24 ounce water bottles an hour trying to stay hydrated, a Salt tab every 45 mins in addition to the 350-400 calories an hour from the Powerbar Gels. I was feeling good but did notice my right upper IT/hip flexor was tightening up starting around mile 45 or so. I just kept going according to plan and ended the first loop in 2:21 with a avg HR of 143, power of 273 and NP of 275. I was hoping to hold 275 for the entire ride so I was right on. When reaching halfway at mile 56 I was able to see Chelsea cheering for me - she always puts a smile on my face and really appreciate her support! Once hitting 65 miles or so the hip flexor was getting tighter and tighter and I noticed my power dropping. I was doing what I could do maintain the power but my body was not allowing me too. It was gradually getting worse and worse. Looking at the data the second loop my heart rate was 140 but my power was an NP of only 246 for a lap time of 2:29 - clearly not what I wanted! It seemed as if the heat, along with my hip flexor were limiting my performance and my mental state was going downhill fast. At the end of the bike my NP was 260 watts with an Avg of 255 - well below my goal giving me a time a 4:50:21. Once at T2, I switched over to my running gear and got onto the course. Immediately I could feel my hip flexor clenching but I continued to push on. I was holding right at 7:10 pace or so for the first 2 miles but then found it too much for me. I stopped at an aid station, stretched my hip and took in some nutrition. I tired to continue on but once I got to 5k I knew my day was done- my thoughts immediately switched to frustration and disappointment especially with the great crowd cheering me on. Aerobically I was fine, physically I was done. The race was 4 x 10.5k loops so I knew I had to get back to the race venue before I could end my day. You never want your day to end like this but at this point I believe I was doing the right thing. Once I got back close to the end of loop one, I saw Chelsea, stopped and told her my day was done. After gathering my things, we went back to the home-stay 2 miles away, I took a shower and tired to think of how it could have gone differently. At that point I couldn't. It just wasn't my day - we all have those days but we must move past them and look to the future. From that point on I had to switch my brain to try and enjoy a vacation. Over the next week we traveled to Switzerland, and all over Italy. After talking with Coach Doug though we decided that I needed to get back into the swing of things and focus ahead. We decided that racing IM Chattanooga should be my next option. I ended up over the last 5 days of our trip getting back into things training wise to prepare for IM Chatt 2015! However, once back in the US, I was in rough shape both mentally and physically. I was tired and just not sure I wanted to race again this season. We all have those days- especially when you put so much time, effort and money into it all. It was a tough few days but after talking to friends, family and my coach I started to turn things around! After getting a string of a great nights sleep, my hip flexor feeling better and beginning to enjoy training again, I started to get excited for my next Ironman adventure just 4 weeks post Vichy. I am going back to the site of my first IM- Ironman Chattanooga! Some pictures below of our trip to Switzerland and Italy after France! It has been a little while since I have written and the triathlon season is in full swing. It is hard to believe that it is August already and the championship season is right around the corner. Since my last post I have taken part in two races- Eagleman 70.3 in Cambridge, MD and Vineman 70.3 in Sonoma, CA. With a much later start this year than I was planning on due to my heal stress fracture I have pushed the key races to the second half of the season for 2015 with Ironman Vichy in about 1 week and then Ironman Arizona in November. Having done only one Ironman previously and it being last September I am approaching uncharted territory for myself as now I will be doing two in a matter of 11 weeks. Looking back to Eagleman in the beginning of June I was very excited for the race. Not only was it going to be on the weekend of my 30th birthday but I had always heard that it was a fast, flat yet very hot/humid race - and this year was no exception! It was also a fun weekend as friend and athlete I help coach- Liz Reinhart with her parents were meeting us for the race. Additionally, there were a bunch of the University of Virginia Tri Club members that I work with, my friend/running buddy Jaime Mata and a large contingent of the Rochester, NY TowPath Multisport team racing as well. It was to be a great weekend of catching up with friends and I was hoping for a big race especially coming off of a great first race of the season at Chatt 70.3. After a good warm up swim the day before I knew based on the heat, humidity and current water temperature that this race would be far from wetsuit legal especially with the new water temperature rules set forth this 2015 season. When race morning came the air was very thick in humidity. I knew I had to do my best of keeping water and electrolytes a priority for me before and during the race. I have become better at dealing with the heat and humidty over the last two years since moving down to Charlottesville, VA from the arctic tundra of Rochester, NY but I still struggle in the heat more than others. The goal is to stay within myself and stick to the game plan. During the warm up swim however, I noticed my stomach feeling slightly off. I thought to forget it and chalked it up as pre-race jitters. A closer look at the pro field during the national anthem..... some interesting faces! When the gun went off, I knew with a smaller pro field I would have to work extra hard to stay on feet as to not be left behind. I pushed hard for the 1st 500 meters then at that point had my first episode of throwing up- I didn't think I had gone that hard but tried to forget it. Another few hundred meters later and the same thing happened. I just tried to stay focused but was getting slightly concerned with how the rest of the day would go. After finally finishing the swim, I knew that I could throw down a very fast bike here as this course is as flat as you can get. I hopped on my bike and tried to start pushing the watts I needed to give me a great bike split. WIthin 5 miles though I knew this was not my day as I was putting out about 10% lower power and my heart rate was through the roof. As I tried to stay positive and let the hear rate come down I threw up again. This repeated about 3 more times over the next hour and I knew that my day was done by the time I hit halfway through the bike. I was unable to keep calories down and fluids in me - on a hot day like it was that is basically suicide. After normally putting out around 325 watts for a half I was struggling to put out 295 and I had a chill to me that I only get when I have a viral issue. I told myself to try to tempo it home and as much as I hated to say- call in quits that day. Today was not the day I had hoped for. After getting to T2 I spent the rest of the day cheering for friends and trying to make the most of it. A big shout out to Liz, the UVA tri club and the group from Rochester who did a great job! A while after the race I was finally able to get some food in me and actually keep it down. I wanted to say a huge thanks to my Dad for driving down once again for the support from Rochester, NY. A surprise birthday cake from my beautiful wife Chelsea! After Eagleman 70.3 I took a few down days to let the body get back to normal from whatever virus/stomach bug I had. I would say it took me about a week to get back to normal. It is amazing how great you can feel one minute then how weak another. When 1-2% can mean the difference of having a great day and a bad day you need to appreciate the good and learn from the bad. Within a few week of Eagleman however I started putting in some long days to prepare for Ironman Vichy at the end of August. Before Vichy however, was Vineman 70.3! I was very excited for this race as it is one of those bucket list races that everyone should do as a triathlete. We flew in a few days early to get acclimated and have some time to relax! This weekend was also exciting as Chelsea and I got to hang out with our friend Allison Stewart who was in the US from Vet School in Scotland for a wedding. We planned this months out and were finally happy to make it work! This was her first time to Cali and the weather didn't disappoint! After getting off the plane we got a great swim in at a local college and then headed into the wine country of Sonoma County California. I was going to be staying with Tom O'hair who races for Borg Racing - one of the nicest guys I have ever met and a local triathlete racing Vineman 703 as well. He has done the race a number of times and new every part of the course- what a great resource! We even got some time to check out some wineries before the race - don't worry I did the driving! Its amazing how beautiful and fortunate we are to live in a country so different from area to area. Waking up race morning the weather was perfect. It was to warm up into the low 80s mid day but it was in the low 60s at race start. Getting to the race start to set up transition it was still pitch black out. When the sun did start to rise it was a beautiful sight! The calm and beauty of the swim venue before the race start. When we got there race morning we found out that the swim was to be wetsuit legal- my first wetsuit legal race of the year! Since the wetsuit temperature guidelines have been changed for pros for 2015 even my race in early May at Chattanooga was not wetsuit legal. As a slower swimmer in the pro pack I find it very beneficial for me as it helps me limit the losses in the water time-wise and even save my legs a little as it helps with not having to kick as much. After a good warm up and a last good luck from Chelsea I was ready to get this day started that had a loaded field in it with many past Ironman and Ironman 70.3 champions. The swim here is unique in that it is in a very shallow, narrow river west of the finish line. In years past dolphin diving has been a large part of the race but this year we were able to swim all of it. As we lined up to race I found myself next to Craig Alexander- multiple time World Champion - it was an exciting moment for me as I have idolized him for a while (I even have a signed poster in my bike room that is signed saying, "Steve, See you on the Course" My buddy Dave got that for me back in 2010)- funny how things have changed over the last 5 years! To make it even better he says to me right at the start, "Good luck, Mate!" As the gun went off, I did my best to stay on feet of those faster than me. Fortunately, because the venue is so narrow we didn't have to sight very much -although the sun was hitting us right in the eyes as we were looking for buoys up ahead. Before I knew it the front pack which was pretty large had separated itself. I didn't see anyone else near me at the half way turn around but kept working hard. I started to have a feeling I was completely by myself and started having negative thoughts as though my swim- which I thought had been getting better- was going to hurt me today. To my pleasant surprise with about 75 m left in the swim someone hit my feet then as we were getting out of the water I realized I was actually pulling the second pack of 6 guys! My attitude changed instantly! After swimming a 26:59, I found myself around 4 minutes down from some of the best swimmers in the sport. Now was time to get out of my wetsuit and onto the bike. This was a unique T1 as there was a decent uphill leaving transition that had us all running up before hoping on our bikes. The morning air was cool and felt good as we started the ride along the Russian River. The initial miles on the bike were rolling and a little technical. I was glad to have had Tom drive us around and give us advice pre-race. The first portion of the ride my HR was high in the mid 160s from pushing the swim and my watts were a little lower than goal(around 310-315). As my body settled in my HR started to drop and my watts started to rise again. I feel as though all of the IM training with long rides and runs has allowed me to continue to get stronger later in the ride. I was starting to pass people and kept plugging away. This course definitely has some technical portions to it with some rough roads so focus was required at all times; although I hear it is much improved from years past! As I was nearing the last few miles of the ride I ended up catching Matty Reed- one of the best triathletes in the last decade. I knew he was a good runner so I tried to keep pushing the pedals hard to put some more time on him. When I finished the ride I had an AVG power of 321 and HR of 151 with a total time of 2:15:45 or 24.7mph for the 56 miles. After a very long T2 run with our bikes (200 plus meters on a hard concrete sidewalk) I quickly put the shoes on and got out on the run. Within 600m Matty Reed was right on me and he continued to fly by. I knew if I wanted to have a good run I had to dial it back and run my own race. I let him go. I would rather go out a little conservative than too hard- I have paid the price trying to run someone else's pace before. As I hit the first mile in 6:12 I was happy with where I was and how I was feeling. I gradually kept plugging along and started catching some other racers. From mile 4-5 I made a move up Slusser road right before headed into the La Crema Windery dirt road loop. After I passed a few races, I didn't see anyone else up ahead besides Matty still plugging away. On my way out to the turn around I was able to see what place I was in and how the race was unfolding. Same Appleton was crushing it with Craig Alexander on his heals. I knew at the out and back how close others were behind me- I saw Andrew Langfield looking good and moving fast. With 4 miles left I tried to stay relax, continue to get fluids in me and put one foot in front of the other. Shortly after I saw Allison; she gave me a big yell of encouragement- thanks Allison! Once I was in the final mile or so before the finish I knew I had a big enough gap on Andrew that I could relax a little. As I entered the finish chute I was happy to be done and saw the clock tick to 4:09. I ended up finishing the run in 1:21:49 with an avg of 6:13 pace per mile. I am very happy with how even I ran as my fastest mile was 6:03 and my slowest was 6:20. Overall I finished 12th Pro out of a deep field in a time of 4:09:04. After the race it was nice to hang out for a little and soak in the atmosphere- I was able to chat with a lot of the other racers and supporters- even found Epix Gear pro athlete Brittany Pierce after the race! It is one of the best feelings when done with a race and can relax for a few days! After the race we even hit up a few wineries- the trip would not have been complete without going wine tasting after the event! Seems like a lot of other racers had the same idea as there were a number of athletes out there! A very successful trip I would say! It was fun to get out to Cali, see friends, make new ones and even see family. We were able to meet up with Chelsea's cousins after the race who live in the Bay area. Doug even took me out golfing at The Bridges Golf Club on Monday! It was an adventure playing on this tough course and a nice way to unwind from the race. I was also fortunate to visit one of my sponsors- CooperVision; a global leader in contact lenses. I was taken on a tour of their facility in Pleasanton, CA and had lunch with a few of their integral members of the company including James Gardner who is a avid triathlete himself and just raced IM Mont Tremblant where he crushed it in 11:19! Thanks again to CooperVision for their support and for providing me with the best 1-day contact lenses on the market! A truly heartfelt thank you to all my freinds, family and supporters. Without your help I would not be where I am today. As always I can count on Blue Ridge Cycleryfor getting my bike race ready, Epix Gear for the cool new custom kit for 2015, Trisports.com for my equipment needs and everything triathlon, PowerBar for providing me with the nutrition I need to fuel me, Bolle Eyewear for helping protect my eyes and making flashy, stylish eyewear, CooperVision contact lenses for providing me with crisp vision, all day comfort and UV protection that I can count on no matter what the environment throws at me. Thanks again to coach Doug Bush ofEndurance Factor coaching for getting me prepared both mentally and physically for racing and to Dr. Shannon Franklin of Crozet Eye Care for being an understanding and very supportive friend and boss enabling me to chase my athletic dreams. Next up- Ironman Vichy in France! Stay tuned for a race preview! Start of the 2015 race season- Chattanooga 70.3! The triathlon race season has been here in the US for a little over a month but for me, my season started this past Sunday at Chattanooga 70.3! This is the same place where I finished off the 2014 season with my first Ironman last fall. It was a beautiful venue for the full so I was excited to come back for the half. Whenever you are familiar with a race venue it makes it that much easier - and anything you can do to alleviate some stress is very welcome on race weekend. It is also nice coming to a place with familiar faces. My Dad made the long trip down from Rochester, we had dinner with cousins (thanks for the delicious lasagna!) and stayed with Chattanooga Tri Club extraordinaire Rebecca Stein. I had stayed with Rebecca last summer when I was prepping for IM Choo and it was wonderful to see her and her dog Nexie again! This season got a slower start than normal due to a stress fracture in my left calcaneus(heel) that had come on toward the end of last season. Looking back on it, I started feeling it about a month before IM Choo toward the end of August 2014 but I thought it was some Plantar fasciitis. After taking some time off at the end of last year I started to work out again and found it even more painful than before. Finally, I went and had it looked at and found it to be a stress fracture halting my running for 10 weeks being put in a boot! A blessing in disguise I believe now as it forced me to work on my swim which has always been my Achilles heel - I wouldn't say I am fast yet but I would say I am a respectable triathlete swimmer now. With my run lagging behind my bike and swim fitness, I had uncertainties with how the race would go. I had some solid workouts over the past month but you never know how it will go until you are out there. While attending the Pro meeting on Saturday I knew it was going to be a dog fight out there as some of the world's best had shown up - many of them Ironman and 70.3 champions. I however, was going to stick to the plan that Coach Doug Bush and I had come up with and see how it played out. When race morning approached we found out that it was to be non-wetsuit swim for the pros as the water temperature was 71.9 degrees just above the 71.5 temperature cutoff that has been adopted for 2015 race season (the 76.1 degree wetsuit cutoff for amateurs remains unchanged). I somehow figured before the race that it would be too warm for wetsuits so I was not surprised or thrown off by this (I actually did a swim the day before just in swim bottoms) - it's amazing how something small like this can throw a wrench in your mental psyche if not prepared. After a long T1 run ( 2:27) I hopped on my bike and got to work. I was going to hold steady power and see if I could move up on the field. The plan was to hold steady the first half then see if I could pick it up on the way home depending on how I was feeling. The bike course, which takes us into Georgia, was rain filled with some slick roads but fortunately no tar on the road like there was for the ironman!! I was riding strong and actually pulling a group -sometimes upwards of 4-5 riders...the whole time trying to ride my race. I ended up taking a Powerbar Gel (vanilla) after 20 mins of riding after letting the HR settle from the swim/transition which tends to shoot up the HR. From there, I took a Powerbar Gel every 35 mins (20 mins in, 55 mins, 1:30, 2:05) along with 1.5 bottles of the Gatorade endurance formula that the volunteers were passing out and 2 bottles of water. In total that was 440 calories from gels, 360 calories from the drinks for 800 calories total - basically that is 300 calories an hour as I took the last gel right before getting off the bike. I ended up catching a rider right before T2 and finished the bike feeling relatively good in 11th place, 2:14:06 bike which is just over 25mph average. After a quick T2 and realizing that there were people hot on my tail, I new a good run was necessary to finish out the day. I fully believe in the saying "bike for show, run for dough." I told myself to run the first mile in 6:15 and no faster allowing myself to get my feet under me and get the run legs turned on. I hit mile one in 6:16 letting 2 other athletes pass me in the process. I knew that it was a long run and I would need to pace myself accordingly. I gradually started to ramp down the pace and was catching back up to the ones that passed me but also realized that others from behind were closing on us too. After the end of the first loop of two I started really grinding and seeing how the legs would respond. About 2 miles later however,I got a horrible diaphragm cramp that actually forced me to walk and stretch it out for a few meters while getting passed by a few others. I knew if I could get it out I could finish the run strong. Fortunately, even with the walking I ran a 6:55 mile then did a 6:15. As I hit 2 miles to go, I saw 2 guys in front of me with 1 coming hot on my heals- 2014 Ironman Wisconsin Champ Daniel Bretscher. I really started to dig deep and kept churning all the way to finish - in doing so I caught the two ahead and held off Daniel by 12 seconds finishing in 4:05:39 for 11th place overall with a 1:21:39 run- 6:13 avg pace where my last 2 miles were 5:59 and 5:52. Looking back on the race, I am very pleased with my performance with the tough competition. I beat some great athletes and had 3 solid legs. A great way to start the 2015 season! As always there are things to continue to work on but that is what makes you hungry for more. Daniel Bretscher and I post race. I want to say thank you for the support of my amazing wife Chelsea who was all over the place cheering and taking all of the photos you see here. I also want to give a big shout out to my friends, family and amazing sponsors. Major Props to Blue Ridge Cyclery for getting my bike race ready, Epix Gear for the cool new custom kit for 2015, Trisports.com for my equipment needs, PowerBar for providing me with the nutrition I need to fuel me, Bolle Eyewear for helping protect my eyes and making flashy, stylish eyewear, CooperVision contact lenses for providing me with crisp vision, all day comfort and UV protection that I can count on no matter what the environment throws at me. Thanks again to coach Doug Bush of Endurance Factor coaching for getting me prepared both mentally and physically for racing and to Dr. Shannon Franklin of Crozet Eye Care for being an understanding and very supportive friend and boss enabling me to chase my athletic dreams. Next up is Eagleman 70.3 on June 14th! It will be part of my 30th birthday celebration! Ironman Chattanooga.....my first Ironman Experience! I am officially an Ironman! this past weekend I competed in my first Ironman competition in Chattanooga, TN. What an experience! This is has been something in the making for years now.....dating all the way back before I had ever done a triathlon. I remember the times back in high school when I would go up to Lake Placid to camp and seeing people training for the Lake Placid IM. I thought that they were completely crazy! How could anyone swim 2.4 miles, bike 112 then run a marathon?!?! However, the summer of my senior year of college I raced my first tri at the Musselman Triathlon in Geneva, NY. Moving forward a year later, I did an Olympic distance traithlon at the Fingerlakes Triathlon in Canandaigua, NY. Four years went by competing in sprints and Olympics while earning my Doctorate degree before I did my first half IM. Come fall 2011 I raced Pocono 70.3 however the swim ended up getting canceled so I had to wait until the the next June(6/2012) at Rev3 Quassy to complete my first half event with the swim, bike and run. I had been asked by numerous people when would I race my first full Ironman. And up until only a few months ago could I confidently tell them, September 2014. I wanted to make sure I was fully committed and prepared to do an Ironman. I didn't want to just finish, I wanted to race it and be proud of my effort. After a number of 70.3 events over the last two years, speaking to Chelsea my wife, and Doug Bush my coach we finally decided it was time. Ironman is something you don't take lightly. It is a commitment - commitment to put in the training, to sleep right, eat right, know that you can't have much of a social life outside of training, and know that your family won't see you as often. The early morning workouts, the times you travel when you have to bring your bike ( in our case to a number of weddings this year I would have to get my long rides in before the wedding) , the early nights as your body craved sleep are all a part of becoming an Ironman. Whether it takes someone 8 hours or 17 hours everyone goes through it. A month before the race I had the opportunity to go down for the weekend and scout out the course. As with any race, I will try to do this to be more familiar with it. It just made it that much easier on me come race weekend and gives me a peace of mind. Chelsea and I ended up getting into Chattanooga on the Friday before the race around noon as the Pro meeting was at 1 pm. I was interested to see who was going to be racing as a few Pros from the cancelled Lake Tahoe IM had been added to the mix as well. When the meeting got started it was a full house with some big name athletes there. After the pro meeting and checking in I got a swim in and then headed to our Chattanooga homestay...my wife's cousins house! A huge THANK YOU to John and Lara, and to there three kids: Miles, Ellie, and Christanna. Having family there always makes it that much more enjoyable! Talking about family, I was happy to have my Dad share in the first IM experience as he made the 14 hour drive down from Rochester, NY. Thanks Blue Ridge Cyclery for getting my Cervelo P5 ready! Right before dropping my bike off at the transition zone the day before the race I did one last overlook of the bike. I am so happy I did as I noticed a small piece of glass embedded in the tire of my front wheel! Thankfully I had brought down an extra race tire and was able to change the tire without incident. Excited for the swim start! When race morning came I woke with excitement. Fortunately, getting to transition, getting my bike ready, getting on the shuttle to the swim start all went smoothly. It was great having the opportunity to ride with Chelsea on the shuttle as she helps calm the nerves. We also got to share the bus ride with fellow Rochester, NY native Pro Matt Curbeau and his girl friend ( who is a Pro racing her first full IM) Kait. We were able to catch up a little bit on a bus ride that seemed to go on forever....realizing that I would be swimming the whole way back! As we jumped in the water for the swim start I knew the current was going to be in my favor...we were being held back literally by a rope...and even holding onto that was quite a task. After waiting for a few minutes more than expected as we waited for the sun to rise, the gun when off. Because of such a large pro field I knew I was going to be able to find feet to swim on. I was feeling great but didn't want to push it too much as I knew I had a long day ahead. It is hard to really think about the race as a whole...you need to break it up into sections. As we kept winding our way through the channel of the Tennessee River, I could see us getting closer and closer to the aquarium where the swim finish was. I kept doing checks on how my body was feeling and as I got out of the swim I actually felt really good. I came out of the water in a nice current aided time of 44:14. After seeing Chelsea as I was running into T1 I told her I was feeling good and prepared to start the 116 mile ride. After careful consideration, Doug and I came up with a power number that we thought would give me my best opportunity to have a great marathon. I was going to ride my own race and stick to it without being dragged into higher efforts that would come back to bite me later on. I kept doing checks to see how I was feeling. My heart rate was staying between 135 and 142 and the power was right at a 265 avg watts and 267 normalized. I actually did the first loop of two at 264 then the second at 266. I actually had a very uneventful ride- which I would say is always a plus as so many things can happen over 116 miles. I was very cognizant of following my nutrition and hydration plan....and thank goodness that the weather was cooperating as well. A nice cloudy day in the upper 60s/low 70s. I ended up getting back to T2 with a bike split of 4:56:00 or 23.5 mph average. The crowd at transition was the best crowd I have ever seen at a triathlon by far. I was fully impressed with the Chattanooga IM volunteers and supporters- top notch! After getting through the changing tent and out onto the run I told myself that I had a long way to go and to hold back. Again I checked how I was feeling and assessed the effort. I was feeling great and my legs were loosening with every step. The course is broken up into 2 loops with each loop having a flat 7 miles and a very hilly 6 miles. I was feeling great through 9 miles making sure to get the proper nutrition at the aid stations. Then around mile 11 my stomach started to turn and actually had to make a quick stop at the Port o John- thank goodness the aid station was right there! After about a 45 second break I was back at it. However, I could feel the lactic acid that built up from the break. I kept plugging away but could tell the legs were starting to get heavy and I was getting that feeling of pre-cramping. I was able to make it to mile 15 before I had to give in as both quads started cramping. I actually started walking a portion of the aid stations as I needed to make sure I was getting my calories in. I kept plugging away by putting one foot in front of the other - before I knew it I was at another aid station which meant 1 more mile down. After finally getting to mile 23, I vowed to keep pushing and not stop at other aid stations. I was able to use my last bit of energy to run those last 3 miles at a mid to upper 7 min pace. As I approached the finish line I tried to enjoy the finish chute - I was able to give my Dad a Hi- five along with other spectators. As I crossed the finish line I heard the phrase, "You are an Ironman!" I had finally gotten to the finish line in a total time of 9:11:58 for 20th Male Pro. I want to give a HUGE thank you to my wife Chelsea, family, friends, Coach Doug Bush, and to all my sponsors. So many sacrifices go into training and racing that can be very trying. Whether racing as a pro, experienced amateur or your first race you understand the time, effort, early morning, early nights, sweat, and pain that goes into an Ironman. The question for me now....what is next?? Happy to be done with Matt Curbeau who finished 13th! Matt and I trained together back in Rochester, NY. With my Dad in the back left and Chelsea! I am getting toward the end of an amazing journey known as Ironman Training. This journey will culminate when I hopefully cross the finish line of Ironman Chattanooga on September 28th. I decided toward the end of last season that this would be the year I would train for my first Ironman. I knew headed in that the training would be both mentally and physically taxing and the commitment of time and effort needed to be 100%. I also wanted to talk to Chelsea, my wife, to let her know that I would be gone more and more as the training ramped up. Who would have ever thought that I would be turning into an ultra endurance athlete? I remember looking back onto my college days of cross country and track at Lehigh University and I didn't even like to run the 5k on the track let alone the 10k in XC. I thought I was too big to go the longer distances being 6'2 , 180 pounds. However, when I was in college hitting upwards of 100 mile weeks or now training for triathlons and putting in 25 hour weeks I might see myself dip to 175 pounds...but you work with what you have. Now I get to carry this 178 pounds (where I was this morning) around for a full Ironman...yes 2.4 miles, 116 bike (as the Chattanooga course is 4 miles longer than the traditional 112) and a nice 26.2 mile marathon. I am excited and nervous at the same time. With the help of Coach Doug, I have put in the hours and the hard workouts, gotten the rest and recovery that is needed and now putting in the final touches 6 days out from Ironman Chattanooga. My body is starting to come around- I am noticing my legs getting more snappy, my heart rate lowering, and my watts getting higher with less effort. I was fortunate enough to go down and train on the IM course a few weeks back. A HUGE thank you to Chattanooga Tri Club member and fellow IM Chattanooga racer Rebecca Stein for hosting myself and friend Anthony WInd (a champion Ultra Runner). I love the opportunity for homestays as you get to know the community better, the ins and outs of the area plus Rebecca gave us great tips on places to train (ie the open water swim area buoyed off and the Chickamauga Battlefield to get some easy miles in!). I am excited for this opportunity to push myself and go further than I ever have before. Please follow me on the Ironman Live Feed as I will be Bib #38. Thanks again to all my supporters- family, friends, sponsors. I look forward to sharing my experience with you here after the race! This past weekend is one I will remember for years to come. There was racing, training, leading of a triathlon clinic, eating, relaxing and spending time with family, old friends and making new ones. All of this wound not have been possible without the Luray Triathlon and race director David Glover. The Luray Triathlon is one of, if not the biggest races near Charlottesville, VA. It takes place right in the foothills of the Blue Ridge Mountains offering breathtaking views and breathtaking climbs! The race takes place at Lake Arrowhead - a popular destination of Luray, VA to escape the heat and enjoy the beach. As I was scanning the internet for an Olympic race to do this year this race came to my attention. In its 9th year, this race offered close proximity, a competitive field and even a prize purse. What made it even more enticing was how inviting David had been when considering to do the race. I really wanted to race this but was unsure how this would effect the training leading up to Ironman Chattanooga at the end of September. In talking with Coach Doug he made it clear that no tapering would be done and that I would even be doing extra training daily along side the races. I trust in what Doug has to say and knew that this weekend was going to be a painful one but would make me stronger in the longer run for Chattanooga. The weekend prior I had a wedding up in New Jersey for my college friend Sahil. Even though there was a wedding - training still had to get done. I was able to get a nice 130 mile ride in up to Sandy Hook, NJ and a 20 mile run in on the way home with long time friend Anthony Wind (and 2014 North Face Endurance Challenge 50 mile DC champ!). After that weekend with all the travel and training I was pretty beat up but new I had to get through one more week of training and end it with an Olympic/Sprint Double. After getting through the days leading up to the race I had some very tough patches mentally and physically where I had to keep reminding myself of the goal of racing well at Ironman Chattanooga. I had never gone into a race with such heavy legs and really was doubting how I could perform. However, it is amazing how the body can respond. This weekend also was a chance for my sister in-law and two nieces, as well as Dr. Franklin and her daughter, Emmy to come watch me race. It is nice to be able to show people what a triathlon is all about and see the results of all the hours of training. Friday, the night before the Olympic race, I decided to stay in Charlottesville and go for dinner on the Downtown Mall with Chelsea, Wendy and my two Nieces. It was a beautiful night and a relaxing one. It was also great to sleep in my own bed before racing. When getting up at 3:45 am to make the 90 min trip up to Luray I realized my legs felt surprisingly well and began to get excited for the weekend of festivities. After an uneventful drive through the backwoods of VA, I arrived to an unseasonably cool morning at Lake Arrowhead. As the race start came near I saw that Chelsea had arrived along with Wendy and the two girls in tow. I was excited to see them and to get going with the race. This race a unique in that there was a prize purse that had drawn other pros and top age groupers to this small yet scenic mountain Paige County, VA town. My goal this weekend was to get top 3 in both the Olympic on Saturday and the Sprint race on Sunday as each race paid 3 deep. I knew this race was going to go out quickly in the swim as John Kenny, a 5 time US National Open Water Swim Champ was in the race. As the gun went off I knew I had to do my best to limit the losses as in all Olympic distance races the swim plays a much larger role in the race as it does in longer half and full Ironman events. After really working the entire swim, sighting well and trying to have a smooth stroke I exited the water in a PR Olympic time of 22:11 and 3:30 down from John. I was actually really happy when Chelsea told me how far back I was because I was confident that my bike and run could bring me back into it. I ended up getting onto the bike and really started to roll. This is a very challenging bike course and can be tough to get into a rhythm. I fortunately had the opportunity about 2 months back to come ride the course. I am glad I did as I knew the turns, descents and other places that might cause me to slow down. I credit my Pro cycling friend Curtis Winsor of Winsor Creative for helping me work on my descending this summer. I have a long ways to go but much improved thanks to him! I was able to work my way back to within striking distance off the bike with a race best bike split of 1:03:40 for this very hilly difficult 41Km bike leg. After coming into t2 in 3rd place I was a couple mins down from John and ITU pro Dan Feeney. I knew Dan could run like wind so I was really hoping to see if I could catch John. After running a first 5k of 17:20 i wasn't gaining ground on Dan but I was gradually gaining time on John. However with 2 miles to go I was still 1:03 down from John. He looked good at the turn around and with no one behind me I thought to save some energy for tomorrows sprint. The likelihood of me catching him at that point wasn't very good. I ended up cruising in with a 10k split of 35: 11 for 3rd overall in a time of 2:03:24. Finishing 1:30 down from Dan and 58 seconds down from John. Overall I was really happy with the race and how it went considering it was an Olympic distance and in my opinion of all the triathlon distances that is my worst. I was pleasantly surprised with how my legs responded considering the amount of training I had put them through over the last few weeks without much recovery. After the race I quickly changed my shoes, changed out of my race kit, said hi to Chelsea and the family and started off on my second session of the day - a nice 8.5 mile cool down. After a few mins in, my legs that had felt great just moments before became heavy and lethargic. The back mountain roads didn't help that feeling much either. After slugging through the hour run I showered, ate some food and got ready for the awards ceremony. Brad Rex the announcer and David Glover did a great job with the awards ceremony and we even came home with a wine carafe with etched glass. grand childrens performance of Alice in Wonderland at the Trackside Theater in Luray. It was nice staying only 6 miles from the race site so I got so sleep in a little extra. I was going to need it as I had a very long day ahead of me. After getting to the race site I went through the normal race day routine. When I was taking out my bike to get it ready for the race I noticed that my rear tire had gone flat. And to my surprise, I remained calm, changed my Reynolds carbon clincher rear tube and continued on getting everything ready. A few mins later put my front wheel on but noticed some unusual brake rub like the wheel was out of true. I thought, this couldn't be- maybe the front brake came out of alignment while in my car. However when I inspected it more quickly I realized there was a 4-6 inch portion of my brake tract that had bowed out. I knew right away this wheel was nice safe to race on and I quickly went to David Glover. He told me to go to the Bonzai Sports mechanics and see what they could do for me. I was really worried as I didn't even have an extra training wheel with me like I normally do! Jason from Bonzai Sports was truly amazing to me and actually had a front Zipp 404 carbon clincher that I could use! I didn't even have to change the brakes or anything. If it wasn't for them being there I am not sure what I would have done....so a HUGE THANK YOU to them! After surviving a mild heart attack I realized it was about 30 mins from race start and I hadn't even completely set up transition. I did that quickly grabbed my wetsuit and headed down to the lake. Fortunately when I go there I saw Chelsea's smiling face and a she quickly noticed the anxiety in my face. She helped calm me down and get the wetsuit on. After that, I was able to say hi to Shannon Franklin and daughter Emmy before getting in the water for the swim. I noticed as I approached the water there were a few new faces that hadn't raced yesterday. I knew I would have to swim even harder this morning as it was only a sprint. As the races get shorter the races become more painful. Don't get me wrong, the longer races are painful too but this is a different type of pain. After getting out well the first 350 meters I turned into the sun and could not see the next buoy as I was blinded. I just kept swimming in the direction I thought I was supposed to go to but a short while later a kayak guard got in my way and re-directed me as I was about 25 degrees off. A mistake like that could easily have cost me the race but I couldn't do anything about it now and just kept swimming hard. As I finished the swim Chelsea let me know I was 1:45 down from the leaders. That was a surprise- the wrong direction on the swim really cost me time. I got out of the water in 11:02. As I started the bike and climbed the first, hill I realized that my legs weren't going to be there like yesterday. A little while later, I actually got passed by Matias Palavecino. I knew I couldn't let him go otherwise it would be that much more ground to make up on the run. I got back up to him a little while later and we actually ended up working together for a majority of the ride, exchanging leads trying to get ourselves up to John and Dan. With 5 miles left we saw the two leaders up in the distance. We kept pushing to get to them...Matias pushed hard enough over the last few miles that he actually got to T2 right with them as I came into T2 25 seconds down from the group of 3. I ended up riding better than expected with a 2nd best split of 43:06 - having the seconds fastest split behind Matias' split of 42:32 for the 17 mile bike. As we started the run I knew the other racers were right in front of me, I just had to reel them in one at a time. At the turn around I was only 8 seconds from John and Matias where Dan was about 30 seconds in front. I had that point in the race where you either go for it or you don't. A few meters later I went for it and put in a massive surge to first go by John then right by Matias. I knew I had the strength to hold it together till the finish. After no response from either I found myself in 2nd place with a half mile left. I kept pushing and looked back coming into the park to see a comfortable gap from me to 3rd but too far to catch first. I ended up having the second fast run split of 17:20 and a runner up finish to Dan in an overall time of 1:13:43. After the race I congratulated everyone and took a breath realizing I had put in two quality races back to back after a monster training block. After saying good bye to Shannon and Emmy I was able to spend some quality time with Chelsea, shower, get some food then head over to the announcing booth to help Brad as the finishers came in. I was trying my best to stay off my feet as I was only partially done with my day. After the awards ceremony and a great weekend in Luray, Chelsea and I headed out to go get some lunch. You would think I would be done with the training/racing for the weekend right? NOPE! After lunch Chelsea dropped me off and I proceeded to bike the 80 miles home. It was a tough 80 miles but I knew how important it was to get the miles in. And to make for an even better weekend...when I finished the 80 mile ride back to our house in Crozet I got to run another 8 miles. Needless to say I was exhausted from the weekend's festivities but it really was a great weekend. I want to give a huge thank you to David Glover for putting on a great race, being so gracious with the prize purse and for being so helpful the entire weekend. If you have never done the Luray Tri I would highly recommend this gem in the Blue Ridge Mountains. Now, in the middle of a down week I am trying to catch up on life, let the body recover and spend time with Chelsea. I am excited though for this next block to really give it one last push before Ironman Chattanooga. I am looking forward to labor day weekend as I will be headed down to Chattanooga to familiarize myself with the course and get more comfortable with the city. Sorry it was such a long race report but a lot happened! Till next time...thanks for reading! Challenge New Albany Half in O- H- I - O!! This race brought me back to the Buckeye State..good old O- H - I - O! After going there for my Doctorate degree I had a great bit of nostalgia. The actual race was in the small town of New Albany - just Northeast of Columbus. I used to ride out in New Albany every Thursday night for a great group ride with some of the area's best cyclists. This is where I truly learned to ride and suffer on the bike. It has just the right combinations of flats and hills to make things interesting. I thank my best bud from Optometry school - Bill Catt, for showing me the way. I was especially excited to be doing this race because much of the second half of the bike course was on the same loop we used to do on Thursdays. When every advantage helps I was going to try to milk this to the fullest. Another reason I was excited to race was the fact that this was a Challenge event - a first for me. I had heard great things about them with their roots strong in Europe- Challenge Roth being the most known. I was very happy to hear that they would be paying out to the top 10 Pros as well. In today's triathlon world there have been many discussions regarding prize money for Pro athletes. Take Eric Limkemann's view here. I know I have a lot of hard work still to do to say I really make money as a triathlete but thankfully I can race at a high level while still practicing as an Optometrist. Would I like to make more money doing this?...absolutely! I just have to keep putting the time in, find the right races and with a little bit of luck I can say I do this as part of my living. After working all week, Chelsea (my wife), my training partner Dan Harris and I filled up the car and left early Friday evening. After an uneventful drive and stay in beautiful Ripley, WV we finally got to the race site mid-day Saturday. We were able to check out the swim course in Alum Creek then proceeded to drive the course. I always drive the course the day before if I haven't had the opportunity to ride the whole thing. I always recommend doing one or the other as it makes for a faster split on race day knowing the course. After taking care of registration with packet pickup I actually ended up meeting with Bill from TrifromanceSBR- he was my mechanic back in my days at Ohio State. It was great catching up with him and he did a great job on my rear brake as it needed an adjustment. Afterward we made it to the Pro meeting where we went over the USAT rules for Pros which are very different than those of WTC/Ironman. The two biggest differences are in the swim where wetsuit rules are different with types allowed and temperatures at which a wetsuit can be allowed as well as in the bike with the different rules related to drafting. That night our amazing hosts, Bill and Charlene Catt, opened up their home to us and made us a delicious meal. The Catt's had been like parents to me while I was in Optometry school and it was really good to catch up with them this time around as well. After dinner I set up all my stuff for the next day and put the numbers on the bike. I really liked the bike numbers - they connected to the seat post via zip ties and went directly behind the bike- a nice change from numbers that leave sticky residue. Race morning and 3:00 came early...very early! I felt a little more rushed in the race due to the fact that we had to go to T2 first, drop off our bags/set up transition then drive the 20-25 mins back to T1/swim start. Two transition races always add to the anxiety dealing with race morning- but I commend Challenge for doing a good job with this one as we ended up getting to T1/swim start in plenty of time. The weather ended up being a little humid but the temperatures were excellent. Due to USAT wetsuit rules for pros this was not going to be a wet-suit legal swim for the Pros but it was going to be for the age-groupers. I knew this race would go out quickly as you had Eric Limkemann and Andrew Starykowicz on the start line. After the gun went off on this beautiful morning and I was happy to see the swim arms were there. I had done a little longer swim warm up this time with some sprints to really get the arms ready and I think it paid off. I felt strong in the water and did my best to stay with 3 other swimmers. At one point about 2/3 the way through I almost dropped off but I was able to hang on all the way into the finish. I would have to say this was one of my better swims as I maintained the whole way. I knew my time would be a little slower than previous races as it was not wet-suit legal. I just wanted to do my best to minimize the damage and allow my bike to put me back in it. I ended up swimming 29:17 which embarrassingly I think is my PR for a non wet-suit legal swim. When I got out of the water I ended up fumbling with my zipper on my TYR Torque Pro swim skin. After getting it off I finally was able to get rolling on the bike. 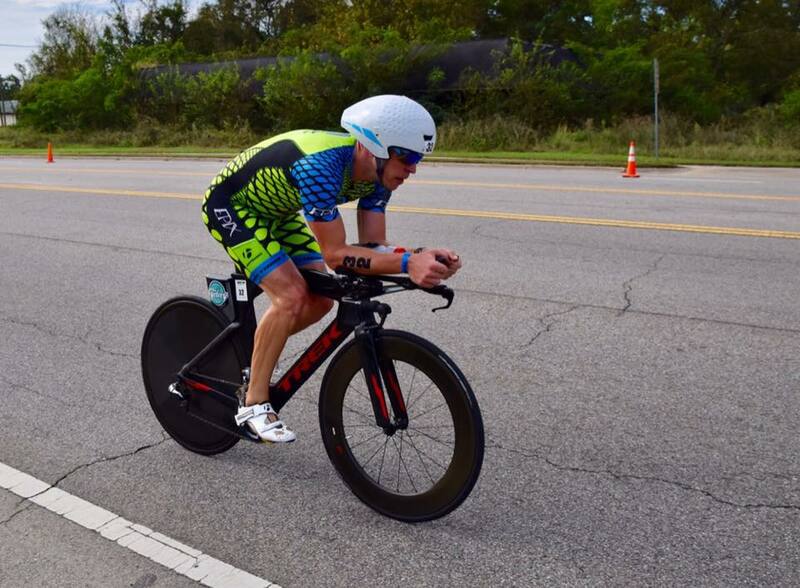 Triathlete Magazine got a great shot of me in T1 with my new Cervelo P5! After a few minutes I knew my bike legs were there. I started hitting my power numbers and started to catch other competitors. The bike course is a mix of flats the first 20 miles to some rolling hills then the last 10 miles are flat again. I enjoyed the course very much as I knew the last half the course well from all the years of riding on it. There was one stretch of road I do say was riddled with pot holes and cracks- besides that 2-3 mile section the road surface was great as well. I was moving myself up through the field and having a great bike...I ended up averaging 328 watts with a Normalized power of 331. My goal for this race was to hit 330. I ended up coming into T2 in 6th place with the 4th fastest bike of the day in 2:11:06. However, there were two guys right with me coming off the bike. After getting out of T2 I realized my run legs were not there. I think had I hit 320-325 it would have been better but it is always hard to tell which is faster. : bike less power and run faster or bike more power and run slower. I tell you from experience finding that balance is the best way to go. Today's bike faster, run slower was by far the most painful way to go! I tried going with the 2 guys that were with me off the bike but they were just moving too fast and had I tried to run with them any longer than the 2.5 miles I did would have been catastrophic. After lap one of two I was in a world of pain. I was still in 8th place but knew others were coming and I would have difficulty holding them off. I started to count the time of the racers behind me on the out and back and realized I had about a 3 minute lead to stay in the top 10. There were plenty of aid stations on the course but starting that second lap I really could have used some coke to help spark the system again. However, even though the race was sponsored by Pepsi there was NONE on the course. If I were to change one thing that Challenge had done differently it would have been to have that coke on course. As I have been doing my long training rides and runs, my body has come to rely on that to kick start my system again. Anyhow, before I knew it I was in 10th place and doing everything I could to get to the finish. With one last final push I crossed the line in 10th place with a run time of 1:24:43. A time I am not proud of but a time that did the job and kept me in the top 10. I would say that was the hardest mentally I have ever had to push myself just to stay with it. I am proud of myself for that and walked away with my first race pay check of the year. Overall I finished in 4:07:17. As the season progresses I feel as though I am getting stronger, more fit and even more experienced. I am going to enjoy a down week then get right back at training hard for Ironman Chattanooga come end of September. I still have a few long hard swims, bikes and runs to get my body ready for that distance. I am excited for the Ironman race yet inside there is always doubt - are you fully prepared, did I taper properly, etc... However, with Coach Doug Bush there to assist and my continual perseverance I believe the Ironman will be a distance I can excel at. Up next I will be taking part in the Luray Triathlon in Luray, VA about 90 mins north of Charlottesville. It will be nice to race so close to home and it will be a weekend affair. I will be doing the Olympic race on Saturday and a sprint on Sunday. Should be fun to mix in some shorter racing. For a race recap from the Challenge race organizers take a look at this video. Starting with my Birthday weekend, June 13-15, (I can't believe I am 29 years old now. My lovely wife tells me, "Wow, you are almost half of 60!" Thanks love.) one of my best Friends, Mark Shumski, got married. I had the pleasure of being in his wedding almost 3 years after he was in mine. That was a fun filled weekend in the Pittsburgh area and I even got to run on parts of the Great Allegheny Passage. Mark, his beautiful bride Kara, and our friend Ross in the background photo-bombing us! I was fortunate enough to have gone up to Syracuse a few weeks before the race to train on the course with good friends Mike Hoffman and Scott Bradley. In addition, workouts leading up to this race were going very well so I was expecting some big things. As race morning came I was feeling good and excited to be racing again as it had been 7 weeks since I had last raced St. George 70.3. As the gun went off I wanted to do my best this time to get on and stay on the feet of the other racers. I told myself to go out past my comfort zone for the first 500m and reassess then. I was doing really well swimming with a pack of a few guys till around 1300m then I started falling off. It was one of those feelings where you are mentally still trying but the arms on not working the same. I started to fall off the pack but get pushing. I ended up holding tough though and came out of the water just under 28:00 mins. I was not very pleased with the time as I was hoping to be closer to 27 mins but at that point I just had to start riding. If you haven't done Syracuse before there is a hill you climb from mile 3 basically to mile 14. You would not think Syracuse, NY would have such a long hill but its there and it is a big smack in the face during the race. After finally cresting the climb I was finally able to start getting into a rhythm. I gradually kept moving myself up. I caught up to a group of riders, then two more..finally at mile 35 I just didn't see anyone up ahead. For the last 20 miles I didn't see anyone. I finally came to T2 in 12th place with a bike split of 2:18:13 or 24.3 mph. I was slightly disaapointed in this as I feel as though I lost focus the last few miles of the ride as I didn't have anyone else to chase. This is a good reason to have a power meter- I was happy to have it there to keep me honest and just try and hit my numbers. Overall I didn't have a bad race nor a great race. I did however have a well balanced race that I paced well. It would have been nice to have a little more running legs at the end but it wasn't meant to be that day. It was so great though to have the support of my family and friends there! Racing back home meant a lot. Scott Bradley, Mike Hoffman, myself and James Cronkwright! Now it is time to buckle down the training over the next few weeks and get ready for Challenge New Albany. I am excited for this half distance event and even more excited to get to go back to Columbus, OH where I did my Doctorate degree...O- H - I- O! Till then I will be ramping up the swimming yards, bike and run miles in preparation for IM Chattanooga! I am thrilled to anounce my partnership with CooperVision- a global leader in contact lenses. Being a Doctor of Optometry, I understand the importance of eye health - especially with those that wear contact lenses. Contact lenses have changed my life- I am very near-sighted and they allow me to see the world without the use of glasses. In sports, corrected vision is crucial to perform at the highest level -whether you are trying to hit a fast ball thrown 90 mph or even catch a football vision plays a role. In triathlons, for myself I need to be able to see the course swim markers (buoys), spot the best line of sight while riding my bike and have the comfort and confidence to know my contact lenses will be there for me. Check out the press release here! A few weeks ago I was fortunate enough to take part in the US Pro Championships out in beautiful St. George, Utah. If you have an opportunity to visit this part of the country I would highly recommend it. On this particular weekend the skies were blue and the sun was hot. After talking to the locals it was about 10-15 degrees warmer than usual. Fortunately, we started early enough that the heat wasn't too much of a factor. I had my eyes on this race for a couple years now - especially hearing personally how great of a race it is from the 2012 St. George Ironman champion Ben Hoffman - and knew I wanted to give it a shot. I was lucky enough to have gone out to St George back in January for a training trip (and an Optometry meeting learning about the latest and greatest contacts) so I would know what to expect course wise. As the race date drew closer the Pro start list was published and boy was it a competitive one! There were Olympians, World Champions and multiple Ironman/70.3 champions participating. I would say it was one of, if not the most competitive race outside the World Championships. This would give me an opportunity to see where I stood among the best in the world. Chelsea and I ended up getting into Las Vegas the Wednesday beforehand so we would have some time to relax before the chaos of the race. We were very fortunate to stay with my great friend, Bill- we spent countless hours studying, riding bikes and everything in between while earning our Doctorate in Optometry at Ohio State. Bill is now an Optometrist in the Air Force and taking advantage of the outdoor wonders that the west has to offer. Overlooking St. George at Sunset. After spending Thursday in Las Vegas - putting the bike together, getting an easy swim and run in and just relaxing, we were ready to drive the 90 mins northeast up to St. George to get in for the Pro meeting. After checking in and getting my race packet, I was happy to have run into Ben "The Hoff" Hoffman. I had not seen him since Tucson, two winters before where we trained together. After catching up a while we went up to the meeting to see a room filled with the best triathletes in the world. It made for a fun meeting- always some humor thrown in to lighten the mood- especially by the Aussies. When morning came around I was excited to race and see how I stacked up to the rest of this world-class field. After getting transition one ready, we got to transition two to get the bike set up. There was excitement yet anxiousness in the air. After a nice warm up swim of about 10 mins we were ready to start the race. I knew this race was going to go out quickly (and for me they always do as I struggle to keep on the feet of others) with the likes of Andy Potts, Jan Fredeno, Clayton Fettell and Ternenzo Bozzone. The gun went off and the 54 Pros in the race were unleashed. I felt pretty good and was moving along nicely. My goal was to get on some feet of the faster swimmers and do my best to stay there. I found a nice group and was able to stay on for the first 1k or so. At that point I felt a surge in the group and really had to work to stay on. In the end I was really happy as I was able to hold the break. I was hoping to swim around 27-28 mins and I came out of the water just as the clock was ticking over 28 mins for a swim of 28:05. As I headed out on the bike I knew I had some time to make up and other competitors to catch. I knew after Texas 70.3 that I needed to dial back my power output for this race if I wanted to have a good run. I had an average power at Texas of 334 watts and my run suffered. I was able to get into a rhythm after a few miles and started to roll. I gradually began to catch others and put my sights on the next person. In a bigger field such as this one, it is nice having carrots to catch. After climbing up the infamous Snow Canyon (which is a 4 mile, 1,000 foot ascent) that steepens as you get closer to the top, I had a nice long downhill into the finish. My goal was to break 2:20 on the bike and I came in right at 2:19:07. Getting the shoes on in T2....getting ready to run! I ended up passing someone in T2 and got out on the run course. The first 2.5-3 miles was uphill...a gradual grade at first then increasingly steeper toward the top of Red Hills Parkway. I wanted to stay within myself to the top of the climb then start to pick up the tempo. I was feeling good but didn't want to get too ahead of myself by putting too much into the hill. After seeing Bill and Chelsea at the 4 mile mark they let me know someone was 1 min in front. I gradually caught up to him (while at the same time seeing my friends and Ohio State TriBucks, Brian and Nicole, cheering for me) around mile 7. After that, I didn't see anyone in sight. Chelsea informed me over the next mile that the next closest guy was 7 minutes in front of me! Ouch....there was no way I was going to be able to close that gap so I told myself to run smoothly and try to focus on good form and even enjoy the scenery. The best thing about climbing the 3 mile hill in the beginning was that it was a nice 3 mile decent into town to the finish. I ended up running 1:19:10 for the half marathon and a total time of 4:10:07. 10th Overall American! and 30th Pro finisher. Overall, I am fairly pleased with my race. Even if I had gone 5 minutes faster my place would have been the same. I just need to keep working on bridging the gap to the next group. After talking with Coach Doug, we have decided to skip Raleigh 70.3 and focus on Syracuse 70.3 the weekend of June 21-22. Thanks again to all my sponsors especially CooperVision- a world leader in contact lens technology. Being a practicing Doctor of Optometry and outdoor enthusiast, I am excited to have formed a relationship with them and am excited for the future! View of Zion National Park from the Angel's Landing Hike...the view is well worth the hike! A first race filled with mixed emotions. I write this purposely after a few weeks- allowing myself to think about the race: how it went and how it could have gone differently. The nerves of the first race of the season were there as always but there was a calmness about me that was unusual. I had put in the yards in the pool and the miles on the road -biking and running. The calmness came from the fact that I didn't put too much pressure on myself and I was just going to use this race as an opportunity to see where I was. I had put some great workouts in -some better than I ever had before, but even though the workouts were in the bag I did suffer a knee issue 6 weeks out from this first race. I was feeling much better the few days leading up to the race and I even got a nice deep tissue massage from Ernie Kid of Champions Table Massage. Even though it was feeling better you still have that thought lingering in the back of your mind, what if? Chelsea and I got into Texas on Thursday night giving us some time to acclimate to the warmer weather and not be so rushed. We were very fortunate to have friends in Houston where we would be staying for a few days -a huge thanks to Alison and her fiancé Jelani! To our surprise, when we got there our 8 month old niece and Chelsea's sister, Wendy, had also arrived to celebrate the engagement and to show their support all the way from Rochester, NY. After relaxing Friday and getting a quick run and swim in we ended up checking out one of the local favorites- Cedar Creek Cafe....a very cool place with some good food. After calling it an early night we woke up Saturday packing up to make the hour trip down to Galveston where the race was being held. As we left Houston, the sky became cloudy and the wind seemed to pick up....it was not going to be a hot race day --mid 60's ....I will take that especially after racing Wildflower(Lake San Antonio, CA) as my first race last year where it was easily in the mid 80's! I was feeling pretty good and was excited to pick up my bike from TriBike Transport. I was very impressed with the whole operation as it was easy, hassle free and gave me a piece of mind that my bike would get there safely. In all honesty...if you have not tried them yet please give hem a try for races you have to travel to....it is one less thing you need to worry about coming into the race. Shortly after I was on the course and ended up running into fellow pro , Canadian Jeff Symonds- I last saw him crush the course of Wildflower - we chatted about the course and wished each other best of luck for the next day. After the ride, the pro meeting followed- which mind you was in the beautiful Moody Garden Aquarium- where the typical race day logistics were explained. It was more crowded than most as this is a big early season race- everyone is out to see if their off-season training has paid off! After the meeting we headed back to our home-stay of Beth and Cary.....you guys were the best ever and this weekend wouldn't have been possible without you! A HUGE THANK YOU! As race morning rolled around I did my double and triple check of everything from my bike to my shoes to my set up of transition. Many people don't realize the importance of a properly planned transition area- it could mean valuable wasted time if not executed correctly. I suggest practicing transitions weekly before really having it down. After a warm up run , I got my wetsuit on with body glide and Chelsea wished me the best- I can always count on her to be there for me! Thanks Chelsea! As we hopped in the water the sun still had not risen- we were barely able to see the buoys. After a five minute delay and treading water in the choppy saltiness of the bay the gun went off. After a 6 month wait since Miami 70.3 I was back at it- racing again! I tried to use my new found swim speed from the thousands of yards this off season to get on some feet as part of a group. I was in a nice group till about half way where I just couldn't hold that effort without hurting the rest of my race. However, To my delight there were two others that couldn't hold that effort either and we formed our own new group. The rest if the swim went pretty uneventful and I came out at 29:00. Not exactly what I was hoping for time wise but came out with some riders to work with on the bike. After a quick transition I started to hit my power numbers. Because there was a strong tailwind I knew that my effort out was going to be less than my effort coming back. After talking to Coach Doug we settled on 310 watts going out then 330 coming back. I hit 311 watts and over 31 mph on the first 28 miles.....I saw at the turnaround my position and realized that there was a big group just about 45 seconds ahead of me. The front of the group would put me at 14th place. After a few miles I caught the group and kept rolling, I was feeling great and hitting my highest power numbers of my life. After the ride was done I had averaged 335 watts on the way back and put myself in 10th place but I could feel my lower quads start to tingle. I did surprise myself though with a 2:05:26 bike split. A 5 min PR. After surprising Chelsea with how much I had moved up I immediately got after it...probably a little too much. Doug and I talked about holding 6:10-6:15 the first loop of the 3 as I had not been doing as much running as I previously would have due to the knee issue. After that I was to assess how I feel then pick it up if I could. However, within the first mile I knew that this was going to be a tough run as there were 5 guys right on my heals. I ended up running 5:45 -5:50's the first loop and then my quads started to lock up. I had never had this happen to me this early into the race before but I kept pushing. Sadly however, it was not my day and my legs didn't want to cooperate. At one point I had both quads cramp up and my left hamstring cramp as well. I hate to admit it but I actually had to walk a couple times to loosen up my cramps. I knew I had to stick with it and get to that finish line. After a tough run(1:26:18 for the half) I ended up finishing in 4:03:30 and in 23rd place. One of my best times but not one of my best finishes. After looking back at the race I am happy with how the swim and bike went but know that more work needs to be done. After the first race of the season I am excited to race again at the US Pro championships in St. George Utah the first weekend of May. Thanks to everyone for the continued support as I pursue my goal of qualifying for the Ironman 70.3 World Championships in Mont Tremblant, Canada. Next race is right around the corner!! Check out the Pro Start list here- it's a loaded field. Tomorrow, Chelsea and I head off to Texas for my first race of the 2014 season. This will also be my first time racing Texas 70.3 in Galveston. I have heard great things about this race and knew at some point I would toe the line to experience it for myself. Known for its flat, yet windy conditions- which mind you is completely different than what I have here in Charlottesville (I get about 1k of climbing in every 12-15 miles of riding), I am excited to see what kind of race I can put together. There is always that feeling you get that first race of the year - the unknown- did I prepare myself for the season? Did I eat correctly? Did I get enough sleep? At this point being only 4 days out the best thing I can do is get my sleep, get a massage and enjoy the trip. With 37 male pros on the start list it will be fun to get out there and see where I am at. Follow the race while it happens here..... the season for me starts this Sunday! As the snow melts and the grey skies turn sunny there is an excitement in the air. With a rough winter behind us(I hope) we turn to the start of the 2014 triathlon season. Many have made escapes to Tucson or Clermont, where as others have braved the elements of Rochester, NY. When all is said and done we are all excited to get racing again and see how our training has paid off. Looking back at 2013 in my first year as a PRO I gained a lot of experience and had some great races. Racing pro is a whole new ball game and I am happy I made the jump from age-group ranks. I have always tried to put myself in a position to improve and race with the best and that is what the Pro circuit is. Overall it was a great season but sadly I ended the year with a DNF at Miami 70.3 as I had a hip injury. With the off season and a time to heal comes new goals for 2014 and beyond. 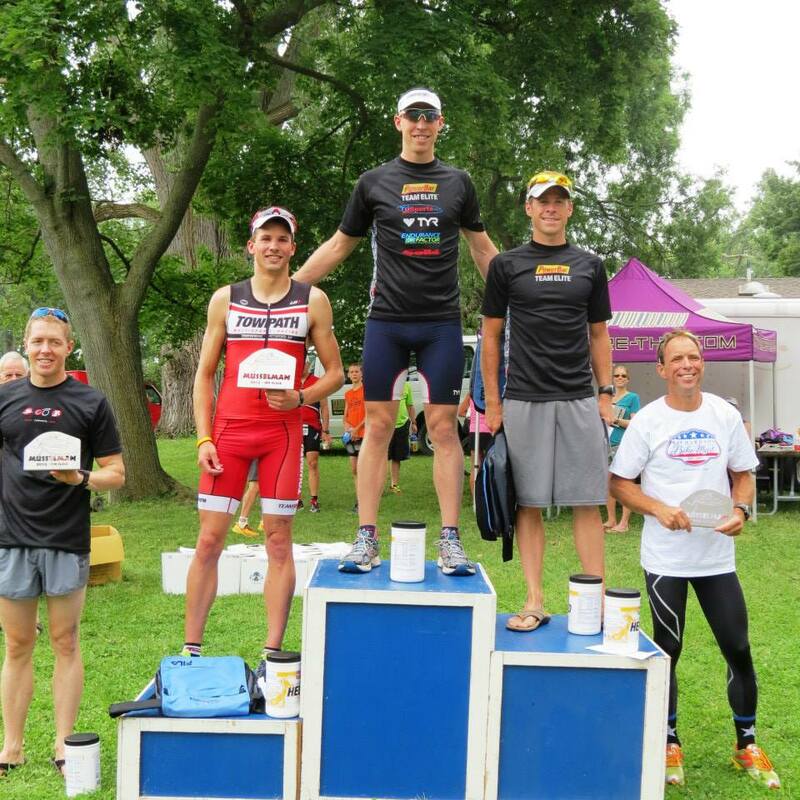 After two good results at Timberman and Augusta 70.3 where I accumulated some points, I turned my thoughts to see if I could qualify for the 2014 Ironman 70.3 World Championships in Mont Tremblant Canada. As a Pro, only 50 males qualify so as you can imagine it is very difficult with all the great athletes out there. In trying to qualify I had to start chasing points and give it a go. In addition to shooting for 70.3 worlds I also decided to undertake my first Ironman in Chattanooga. I have always had the thought in the back of my mind of doing an IM, I just never knew when I would be mentally and physically ready to race an IM and not just finish. I remember going hiking in the Adirondacks of NY back in high school where iconic Lake Placid IM takes place and thinking how amazing it would be to do some day. I can vividly remember watching the press conference on TV and seeing athletes from all over the world ascending to Lake Placid - at that point the feat seemed not only crazy but just not possible. And now I partake on the journey of hearing the words "You are an Ironman!" With Texas 70.3 a mere week away - all the trainer sessions, the laps and the cold windy runs will have prepared me for hopefully my best season yet. I want to say how excited I am for having this wonderful opportunity to push my body to extremes to share the journey with my friends, family and other athletes alike. With my new website I will be giving updates as the season progresses. I will have some exciting news to share with all of you in the near future as well. Best of luck to everyone as you start your season - make it a memorable one!